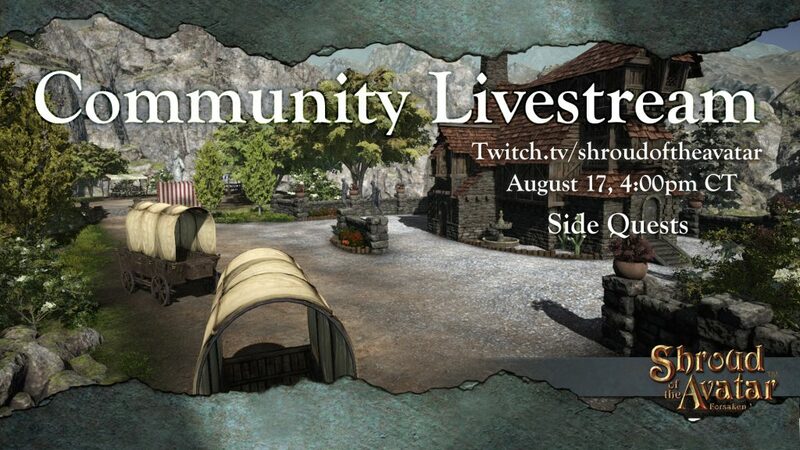 Another content packed weekly Community Livestream is this Friday August 17 at 4 PM CDT on Twitch! Last week’s livestream focused on Side Quests! 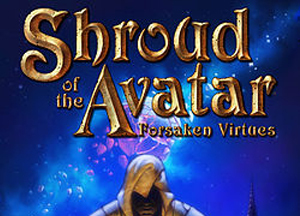 Keith “Sannio” Quinn and Travis “Vas Corp Por” Koleski started taking us through a “greatest hits” of all the side quests in Shroud of the Avatar. 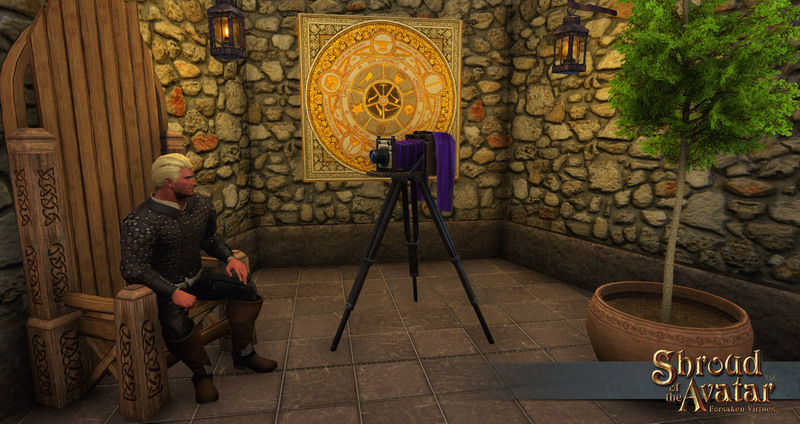 However there are so many side quests in Shroud that we barely scratched the surface last week! Crushing Atavists of Purity, navigating creepy clocks and zombie children in the House on the Hill, finding all the Banners of Virtue, defeating all the Obsidian Cabalists, daily confirmations with the Oracle, fetching lost mail, finding all the virtue armor, retrieving the companion gear, learning every emote, there are just so many! So we are returning to Side Quests again this week so we can show off more including the mysterious happenings in Crooked Shank!